Aerodynamic fibreglass horse floats with countless number of safety, comfort and quality features which make Boeckmann horse floats the best horse floats for sale in NZ. The beautiful fibreglass series is unequalled in the features they offer horse and rider. Choose from a selection of colours to customise your chosen model to match your barn colours or your tow vehicle. Smooth lines, a rounded chassis frame, generous stall sizes and a built-in tack room allow more storage room for your tack and for your horse. The superstructure is constructed of FRP walls - Fibreglass Reinforced with Plywood - the same material used to build racing yachts. Light in total weight, but strong and durable, this is an excellent choice for a horse float. Providing an insulating factor, the fibreglass exterior reflects the sun keeping the stalls cooler in summer. Equipped with class-leading suspension, the European mechanical braking system, galvanised steel chassis, Boeckmann provides safety and stability. 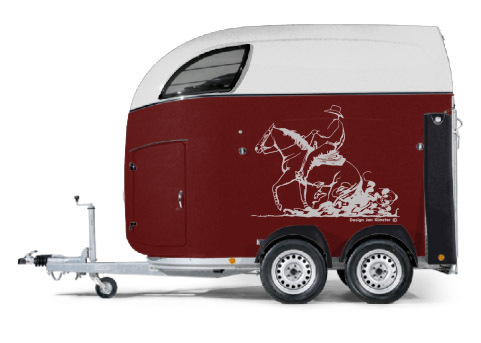 Affordable style with maximum functionality in a full fibreglass finish - the COMFORT model has a sporty aerodynamic shape with a built-in tack room and generous room for two horses. Class-leading suspension, superb braking and great towing characteristics make this float the ultimate in COMFORT. 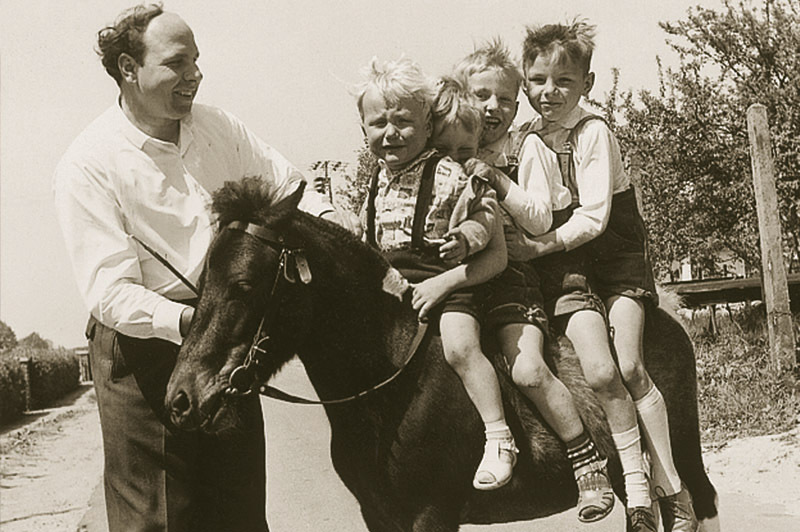 Comfort for you, comfort for your horse and a comfortable drive. 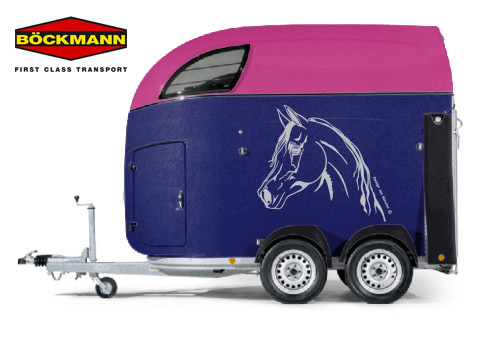 Elegant design with generous dimensions in a full fibreglass finish - packed with features the MASTER model has an aerodynamic shape with generous room for two horses up to 17.2hh and plenty of room for storage in the built-in tack room. Class-leading suspension, superb braking and great towing characteristics make this float a genuine Masterpiece. Size does matter! The Big Master has particularly generous dimensions with an internal length of 3600 mm and width of 1750 mm. Its features are equally impressive - the standard equipment includes a full fibreglass finish, large built-in tack room, storage shelf, additional wear mat and feeding buckets as well as the world-class suspenion 'WCFplus' to automotive standard. Size does matter! The Big Master has particularly generous dimensions with an internal length of 3600 mm and width of 1750 mm. 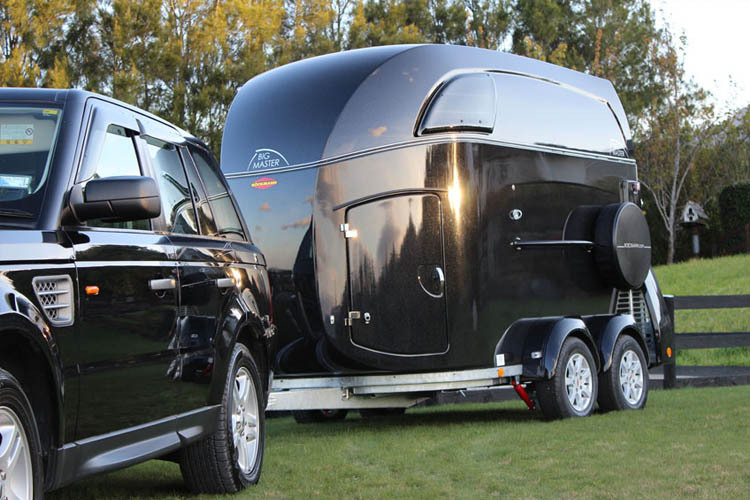 Its features are equally impressive - the standard equipment includes a full fibreglass finish, large built-in tack room, storage shelf, additional wear mat and feeding buckets as well as the world-class suspenion 'WCFplus' to automotive standard plus we added a view optional extras. 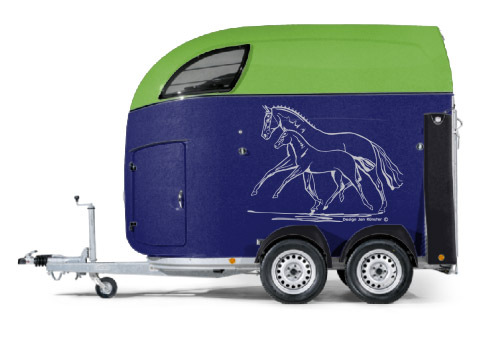 Affordable style with maximum functionality in a full fibreglass finish - the COMFORT model has a sporty aerodynamic shape with a built-in tack room and generous room for two horses. Class-leading suspension, superb braking and great towing characteristics make this float the ultimate in COMFORT. 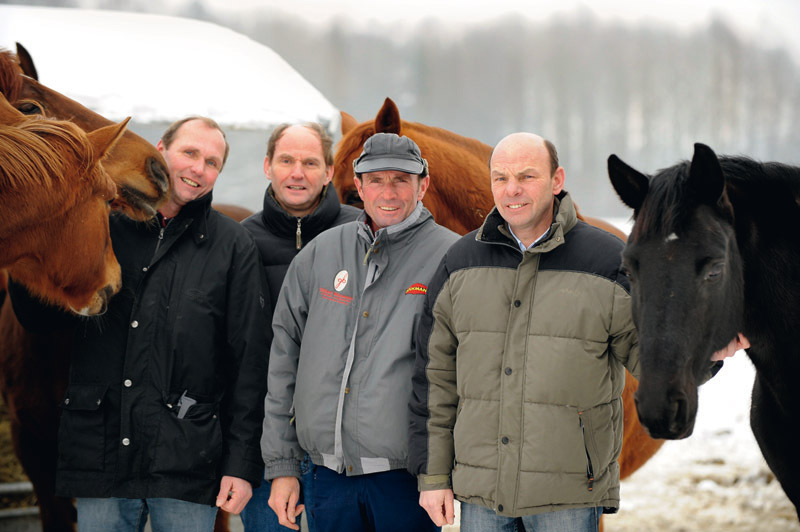 Comfort for you and comfort for your horse and a comfortable drive. With popular models in stock and all versions and options available to order, we can provide you with the ideal float.